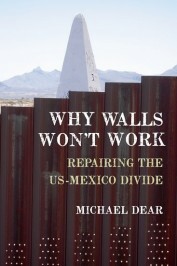 We asked Michael Dear, author of Why Walls Won’t Work, for his input on an issue that has taken the nation by storm: border relations between the US and Mexico. He talks about his observations and experiences, as well as his predictions for the border’s future, in this interview. Describe your day-to-day experiences of borderland communities. Most of my travel time is devoted to listening to people, observing, and trusting to serendipity. People on both sides of the border are generally helpful and friendly. Once I got lost in fog on my way to the mouth of the Rio Grande at the Gulf of Mexico, and pair of Mexican cops offered me a ride along the beach in their truck. And they came back later to pick me up! On another less happy occasion, I was detained for a while by Mexican federal police in Ciudad Juárez, because I photographed what they described as an ‘active’ crime scene. My biggest worry was when they took away my passport. You must expect heightened levels of scrutiny at any border zone. Truth be told, I experienced more unpleasant confrontations on the US side of the line, where so many people are ‘guarding’ the border in official (and unofficial) capacities. Heavily-armed vigilantes on self-appointed missions to protect the homeland always make me nervous. There are comical moments too, when you simply misjudge a situation. One time, when I was trying to get a hotel for the night in a small Mexican town, the reception clerk was being really awkward, making it more and more difficult to secure rooms. Finally, my Mexican collaborator figured out that we were actually negotiating hard to spend the night at a brothel, where rooms rented by the hour. We moved on, after picking up the shards of our shattered dignity. Has the border situation changed much in recent years? I began focused work on the border in the early 2000s, before the US Department of Homeland Security began to fortify the line. After that, the boundary zone became one enormous construction zone. Today, the borderlands seem a lot calmer, in part because construction is essentially over. On the Mexican side, cartel-related violence is down – though far from entirely eliminated – because President Peña Nieto pursued a ruthless campaign to eliminate cartel leaders. The Mexican economy has performed well, so there is less pressure on Mexicans to migrate, and a downturn in the US economy reduced the number of jobs available for migrants. At home, the US Congress failed (again) to pass comprehensive immigration reform. President Obama pushed deportation rates to a record high, thereby demonstrating his commitment to securing the border, but he later eased some of the more punitive practices in immigration law. His administration encountered nationwide push-back from communities opposed to involving local law enforcement in support of federal immigration prosecutions. This ultimately caused the collapse of the ‘Secure Communities’ program, which was a centerpiece of both the Obama and Bush administrations. Image credit: “Give me your tired, your poor, your huddled masses yearning to breathe free” Campo, California 2006. (c) Michael Dear. Used with permission. What should be done about the Wall between Mexico and the US? Border residents speak plainly to me about what they need. The list begins with repairing the extensive damage done to their communities by the wall-builders, and includes restoration of the natural landscapes scarred by fortifications and surveillance apparatus. People want the walls taken down wherever possible, and demand an end to the occupation of their communities by government security forces, now operating deep within US territory. Borderlanders want economic development and infrastructure improvements. Everybody complains about extended delays at border crossings, so increasing the capacity at the ports of entry is a top priority. It makes perfect sense to encourage the energy and creativity found in so many border towns these days. In Mexico, courageous efforts are dedicated to reclaiming neighborhoods ravaged by drug wars. On both sides, there is tremendous potential for promoting borderland tourism and for supporting small businesses through community development programs. In a nutshell, border residents want their lives back. Their main desire is to manage their destinies without interference from Washington DC or Mexico City. Surely there’s a role for federal governments in any ‘post-wall’ recovery? Federal governments on both sides have the responsibility to deal with national security, drug trafficking, and immigration. In recent years, these geopolitical responsibilities have been foisted on the border zone’s ‘third nation’, which has neither the resources nor the legislative authority to deal with them. It is unrealistic and unfair to dump these national problems onto the laps of border people. Do you expect federal governments to act on their obligations? Not anytime soon. In Mexico, Peña Nieto’s administration is caught up in a series of internal crises and scandals that have taken the sheen off his presidency. He complains that border fortifications interrupt the free flow of Mexican exports into the US, but frankly, the only time Mexico heeds its northern border is when economic prosperity is threatened. In the US, a popular majority favors comprehensive immigration reform, and pressures for change will intensify as the 2016 election nears. Yet Republicans in Congress continue their scorched-earth tactics, rejecting any proposal that doesn’t prioritize more walls and more border patrol agents. The consequent stalemate probably means that major immigration reform is off the table, at least until 2017. There are many reasons to be optimistic about the future of the ‘third nation’, as my book suggests. Left to their own devices, border residents will always find ways to live together and prosper, as they did in centuries before the Wall or the international boundary even existed. Right now, I’m heading back to the border to speak to high school students about the deep history of cross-border cooperation. Many young people there have grown up knowing little beyond cartel violence in Mexico, or the arrogant racism emanating from certain people and places in the US. 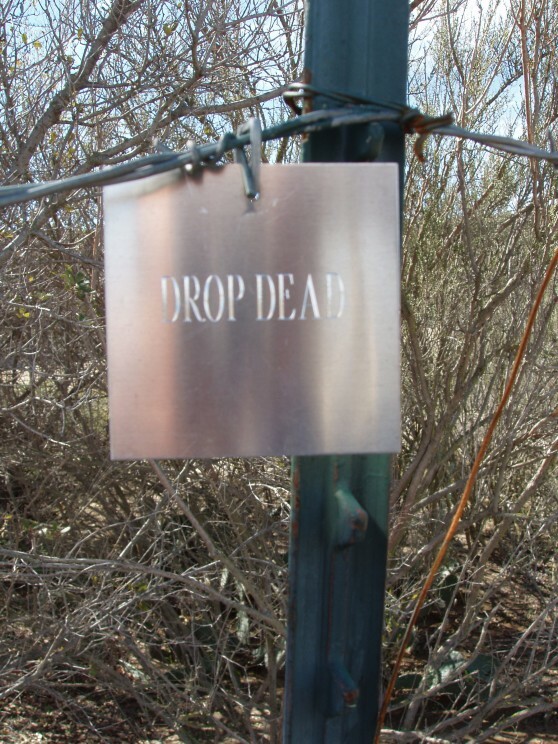 Featured image credit: US-Mexico border deaths monument by Tomas Castelazo. CC-BY 3.0 via Wikimedia Commons. Michael Dear is the author of Why Walls Won't Work and Professor of City and Regional Planning in the College of Environmental Design at the University of California-Berkeley.